One of the first things I remember learning in linguistics was the origin of the word pea (the green spherical vegetable). Pea used to be pease, a mass noun. Mass nouns are nouns that are uncountable and don’t exactly have a plural form. Some common examples are wood, ice, milk, rice, traffic, advice, and water. The exception would be when we talk about types – “there are many woods to choose from”, and so on. 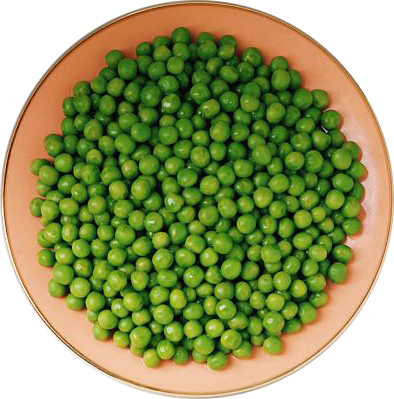 Occasionally a mass noun is turned into a countable noun, as in the case of pease -> pea(s). This is called a false singular. Imagine in the future that we call individual pieces of cheese “chee” instead. This would be a case of a false singular. Someone (or multiple someones) misunderstood the word pease and thought that it was a plural of pea… and thus pea was born. This happened in the 17th century for the word pea. Mistakes like this happen less often in our well documented world now. Everything is written down and people are less likely to mishear a word and interpret it differently. There is probably some debate about how quickly our language is changing due to increased literacy… some think it’s good to stabilize language; others want more evolution. What do you think? I don’t know what I think about that…I am scared of what is happening to our language sometimes… we butcher is so. but I think you should be professor becasue I am loving all this education! So interesting! That would be funny if we all started saying chee. How strange! Thanks very much for that good post.